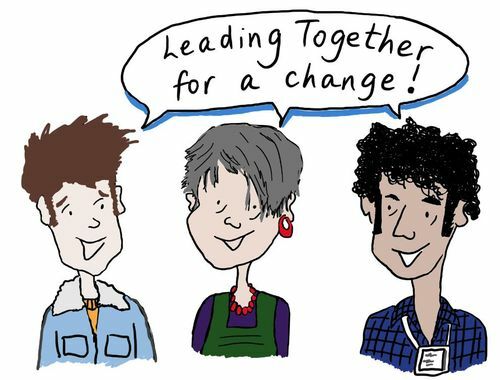 Leading Together for a Change is a leadership development initiative bringing together young people, family carers and professionals to make a difference to the lives of young people with learning disabilities and autism. It will focus on what it takes to lead together, work together and achieve change together. Throughout the initiative participants from the three programmes will work together on improvement projects. This will be enabled through a joint two-day residential event in April and a joint learning day in September. There will also be a shared celebration event in November to mark the end of the three programmes. Click here for more information about the programme for children and young people. Click here for more information about the programme for parents. The programme for professionals is open to anyone working in a professional capacity with children/young people with learning disabilities/autism, and who has the drive to improve services and outcomes. It is not an expectation that you hold a formal professional registration or work in a management capacity. The programme content will focus on current leadership theory and practice; change management theory and practice; and best practice in coproduction. You will be given the opportunity to identify and develop your own leadership style, with the support of individual coaching sessions. As part of the programme you will have the option of completing a Level 5 accreditation through the Institute of Leadership & Management. What are the programme expectations? You will be expected to attend all of the programme dates (listed below), including the residential event on Friday 26th & Saturday 27th April. The residential event will include an evening meal, evening activities and accommodation at the Jury’s Inn (Newcastle) on the night of Friday 26th April. Lunch will be provided on all of the programme dates. The course is free to attend, but you or your organisation will be expected to cover any travel expenses. You will be expected to work openly and collaboratively with other participants from all three programmes, including working on a collaborative improvement project. You must also be willing to invest any necessary additional work and time outside of sessions to ensure the success of your improvement project. If you opt to undertake the ILM qualification as part of this programme, you will be expected to complete additional coursework and to submit this to deadline. The programme for professionals will be delivered by the National Development Team for Inclusion (NDTI). NDTI are a not-for-profit organisation that has been working for 25 years with communities, governments and health & social care professionals to enable people at risk of exclusion to live the life they choose. We will get back to you to confirm the outcome of your application by Friday 1st March 2019. Please hold ALL of the programme dates in your diary until this date.